Go Blue! 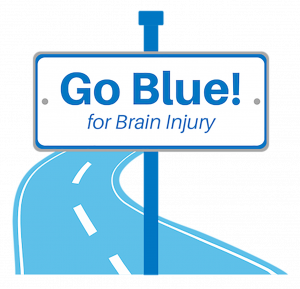 for Brain Injury is a campaign that brings awareness and raises funds to support the BIANYS Scholarship Program during Brain Injury Awareness Month in March. We invite businesses and organizations around New York State to participate in Go Blue! in March by establishing an internal campaign that engages employees, increases awareness and raises funds. All money raised directly supports the BIANYS Annual Conference Scholarship Program, making it possible for members with brain injuries who are facing financial hardship to attend.